The Dutch city of Zutphen builds two new underpasses that look like works of art. 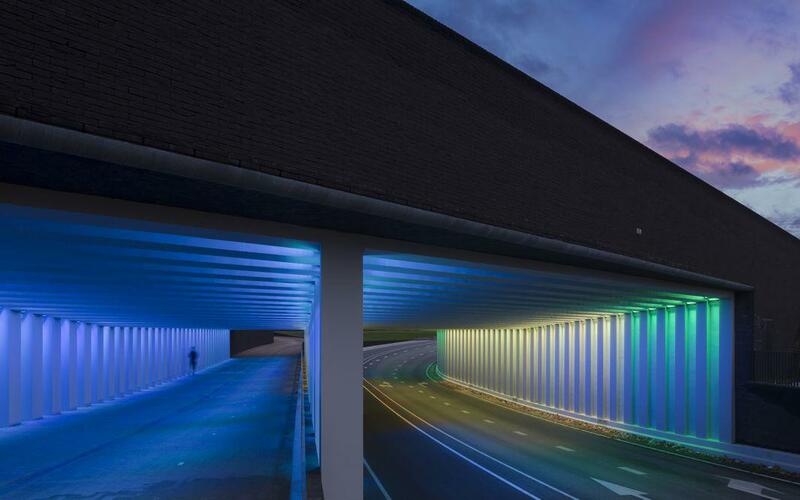 Artist Herman Kuijer lit two new underpasses in Zutphen, Netherlands, that are permanent, functional works of infrastructure art. 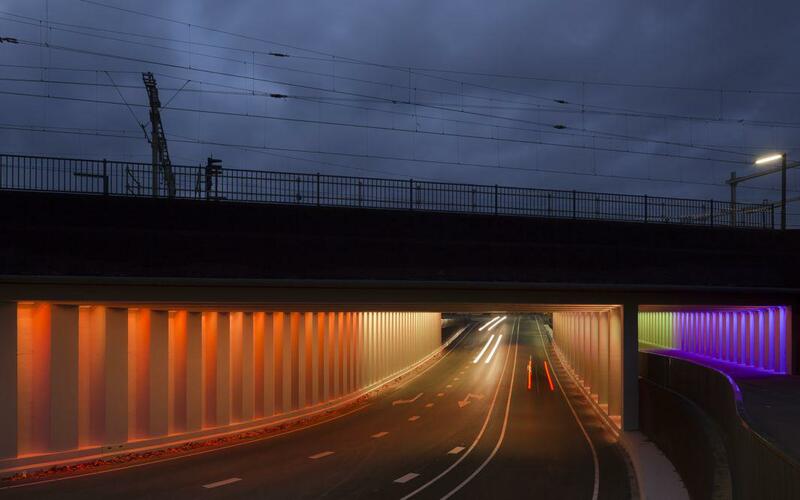 Photo by Jannes Linders. 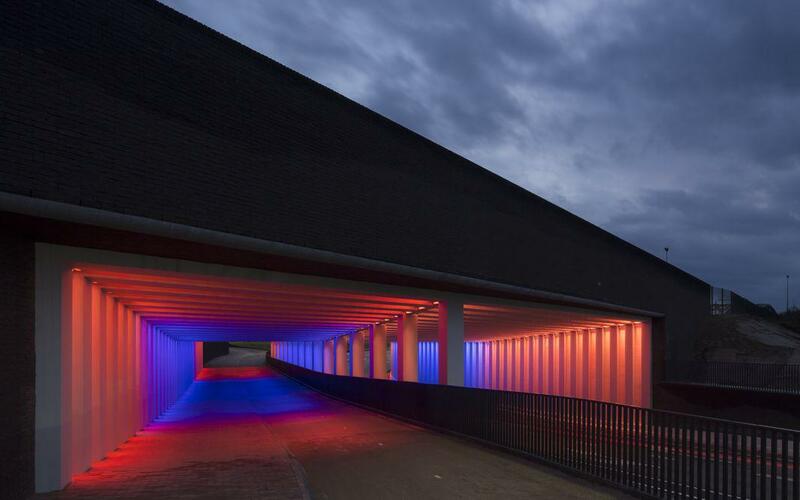 Courtesy of Herman Kuijer. 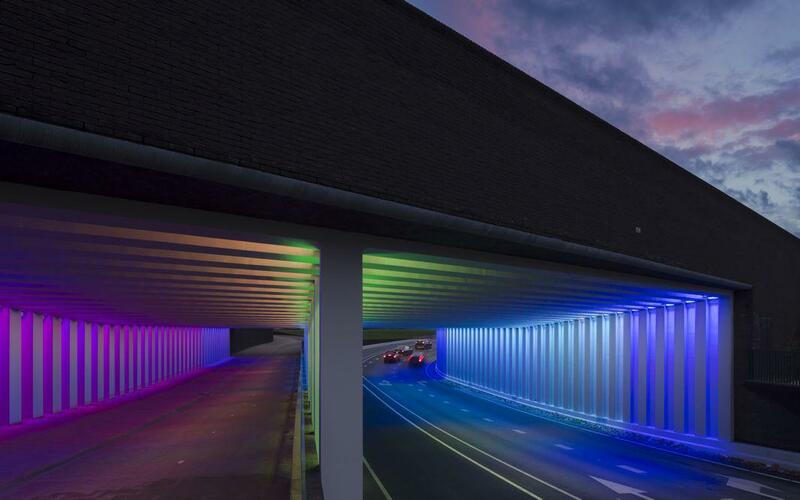 This week millions of Americans will hit the road, suffering traffic jams, tollbooths, pot holes, and dreary stretches of highway tunnels to visit loved ones for the Thanksgiving holiday. 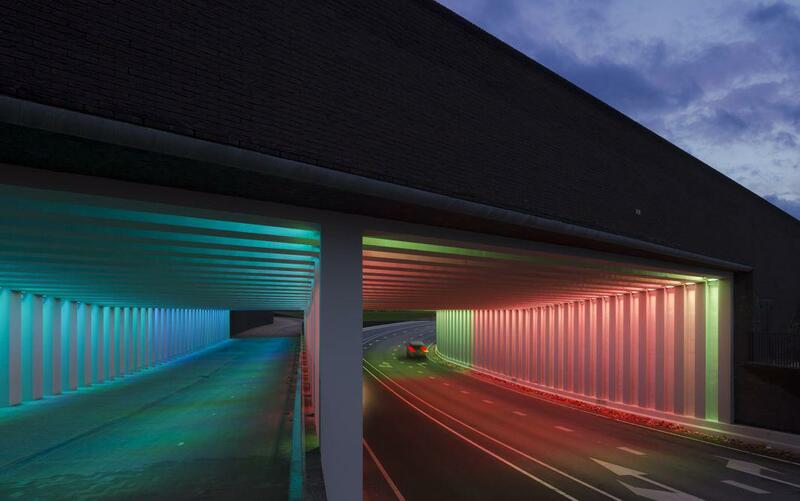 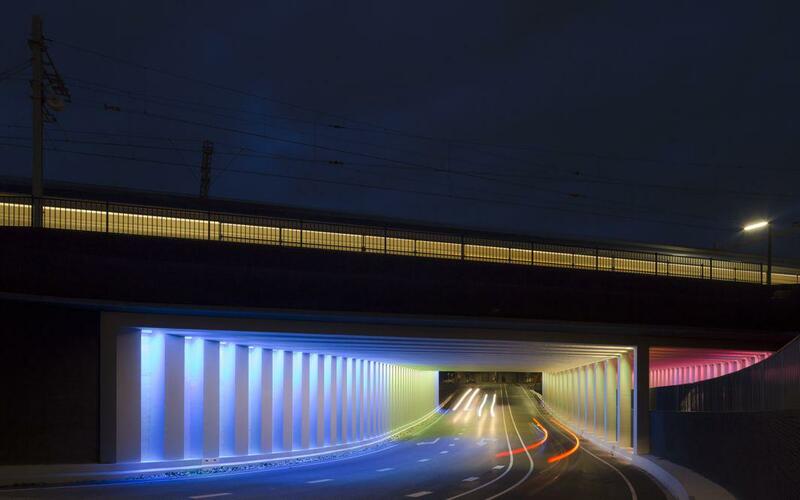 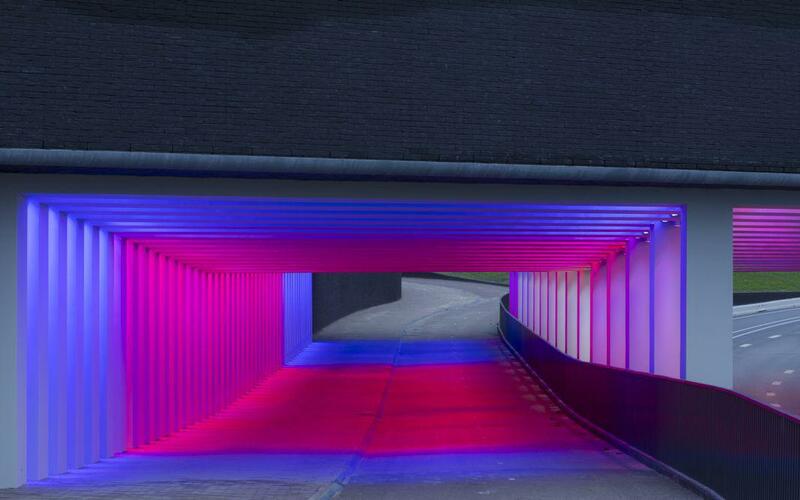 But commuters in the historic Dutch city of Zutphen will be treated to dazzling light installations in the guise of two new underpasses that are functional pieces of infrastructure art. 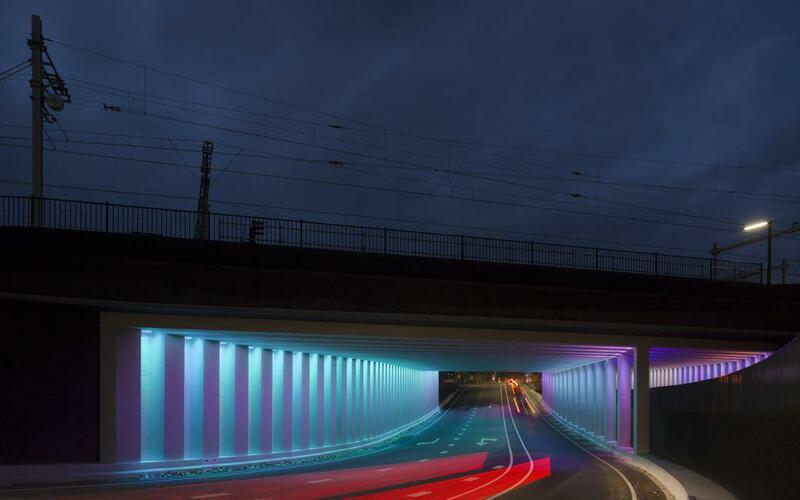 On Nov. 14, the Dutch government transport agency ProRail and the city of Zutphen unveiled the innovative new underpasses. 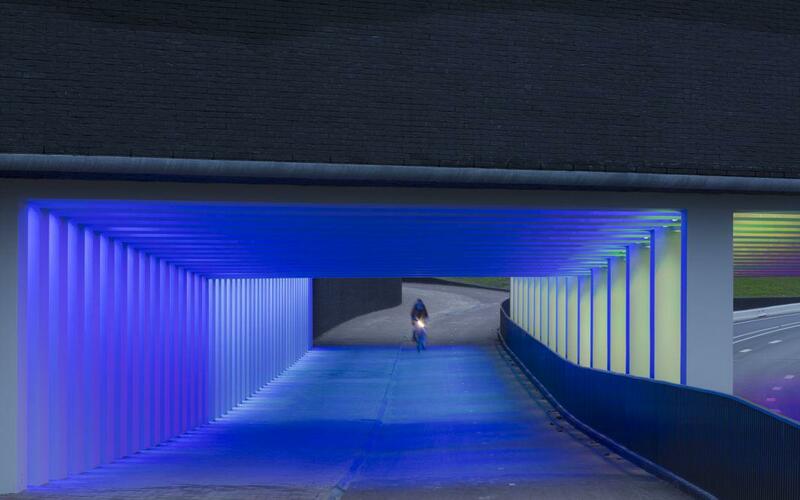 One is for cars only, while the second allows for bike traffic. 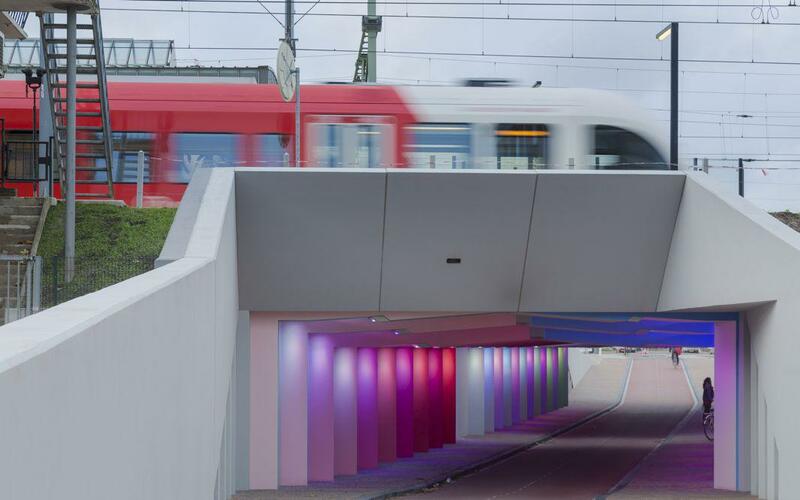 Train tracks run above the structures, which were designed by architects Mari Baauw of Railinfra Solutions and Marc Maurer of Maurer United to link a new area of Zutphen with its town center set on the River IJssel. 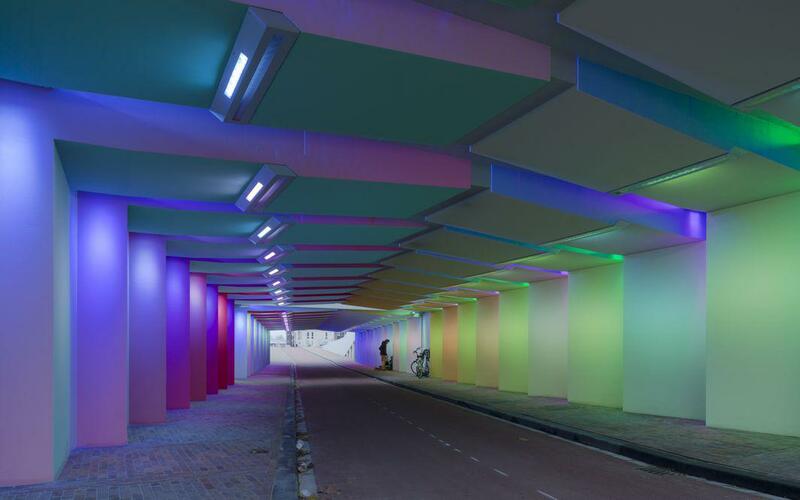 Dutch artist Herman Kuijer designed the fun part: a permanent installation that bathes commuters in vibrant pools of multicolored light projected onto the concrete supporting each underpass. Kuijer told me in an email that he spent five years developing the lighting scheme—which is inspired by the movement of nearby water—with the help of a light engineer who calculated the output of the colored light to ensure that it was as functional as it was beautiful, testing several models before final production.